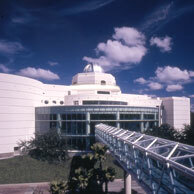 The Orlando Science Center attracts nearly 400,000 visitors each year with dynamic and engaging content. The goal has always been to personalize the guest experience; demonstrating how science impacts everyday life. Whether you’re seven or seventy years old, Orlando Science Center offers hands-on fun for all ages through engaging interactive exhibits, live programming, xtreme screen films, school field trips and school-break camps.